DuPage County family law attorneys Brian Nigohosian and Michelle Dahlquist announce the opening of Nigohosian & Dahlquist, P.C. in Wheaton, Illinois. DuPage County divorce attorneys Brian Nigohosian and Michelle Dahlquist are pleased to announce the opening of Nigohosian & Dahlquist, P.C. The family law firm is located just minutes from the DuPage County courthouse at 2150 Manchester Road in Wheaton, Illinois. 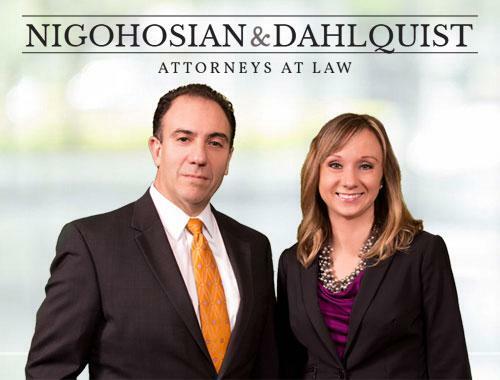 Nigohosian & Dahlquist, P.C. offers services related to family law matters including: divorce, complex divorce, child support, child custody, and visitation. Nigohosian and Dahlquist bring over 40 years of combined legal experience to their practice. The firm takes a client- centered approach by offering experienced, but personalized service. The seasoned attorneys will represent clients in family law matters throughout DuPage County including the cities of Wheaton, Glen Ellyn, Downers Grove, Lisle, Naperville, Darien, and Hinsdale.